positive poems about life for kids. Joesph Morris Bachelor was also known as Joesph Morris. He was an American author, poet, editor, and educator. Joesph Morris Bachelor was educated at Harvard University and at Miami University. Also, read A Time To Believe. This poem is about learning from one’s mistakes. The poetry aims at motivating a person and find their success. 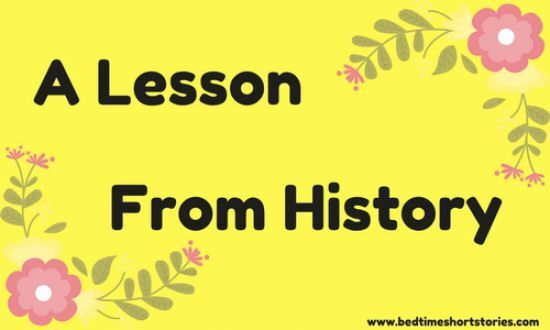 “Lesson From History” is one of the best inspirational poems, which teaches one person to become motivated after watching others succeed. The first paragraph of the poem opens with telling the reader that every obstacle feels easier after it has been dealt with. The next line tells the reader, that every battle feels like an easy win after you win the battle. Furthermore, the poet says that every problem seems clearer once you’re out of the problem. And, we never knew the earth was round until we went around it! The first paragraph is the opening of the poem and aims to motivate the reader into carrying on despite the problems they face. Because it will all seem easy after you are through them and reach your destination. You may also like to read, The Road Not Taken Summary. The second, paragraph gives the example of great Washington and his dilemma. For he thought there was no way he could win the battle with the enemy camps popping up everywhere. But he felt that way, only until he crossed Delaware! This stanza, again, stresses upon the importance of going on despite the problems anyone faces! The poem further states that Washington continued on and after he crossed Delaware, he found a river frozen with ice. And in the dead of the night, he charged with his men silently. Their enemies waited for the fight, but Washington did not give up. The poet then stresses on the fact, that just like each of us, Washington too was a human. He too must have been scared. But he stood above his fear and put on a brave front. And with bravery, he crossed Delaware! With the next stanza, the poet asks the reader to be like Washington. He eggs the reader to not lose hope or motivation. Even if you are in the worst kind of trouble, even if you lose you’re spirts and even if the sky is dark with dark clouds, do not lose your hope! Or, “Don’t lie down on your back” as Morris puts it. Also, read The Brave Little Kite. In the last stanza, the author requests the readers to sing even if they are choked up. The author requests the readers to go through the dark times and believe them to be fair. For, with motivation and resilience, you too shall cross your Delaware!